Many farmers first got into reduced- and no-till in an effort to reduce wind and water erosion, conserve more moisture or reduce labour, machinery and fuel costs. Now, research is showing that long-term no-till is also making soils much more productive. no-till. Photo by Bruce Barker. RTL, along with the Saskatchewan Soil Conservation Association and the Manitoba-North Dakota No-Till Association have long championed the benefits of no-till to farmers. But recently, Gamache says that farmers have really started noticing that their longer-term no-till fields are generating some of their best crops ever. Dr. Guy Lafond, a research scientist at Agriculture and Agri-Food Canada at Indian Head, Saskatchewan, has also noticed that trend. And he is fortunate enough to be able to quantify those soil fertility benefits on two nearby farmer fields. One field has been in no-till annual cropping since 1978 (with a seven-year interlude of grass and hay production between 1984 and 1990). The adjacent field was in a conventional cereal/fallow system from 1984 to 2000. Subsequently in 2001, the conventional field was converted over to a no-till production system following the same rotation as the long-term no-till field. An added bonus was that the fields were adjacent to some virgin native prairie, providing a soil quality baseline. In 2006, Dr. Jeff Schoenau of the Department of Soil Science at the University of Saskatchewan also studied the N and P supplying power of the long- and short-term no-till Indian Head plots. In the early spring, he sampled the five-year (short-term) and 25-year (long-term) no-till plots. Treatments sampled included two stubble types (pea and wheat) with three different P fertilizer treatments (zero, 20 and 40 kg of P2O5 per hectare (zero, 18 and 36 lbs/ac)). Intact cores up to 15 centimetres (six inches) were removed from each plot and incubated for two weeks in the laboratory. The supply rates of available P and N in the soil cores were measured during a two-week period using PRS (plant root simulator) probes. He also says that the same type of sulphur (S) supplying power can be seen in long term no-till soils compared to short-term no-till soils. Lafond has carried out several research trials on the sites, measuring yield response to fertilizer applications. The short- and long term plots were planted with a 12-row ConservaPak seeder with a row spacing of 30 centimetres (12 inches) apart. The crop sequence was wheat-canola with each crop alternating every other year starting in 2002. The same treatments were applied to the same plots each year to measure the cumulative effects of different rates of nitrogen over time on grain yield, grain protein and residual soil nitrate-nitrogen. N rates were 0, 30 60, 90, and 120 kg/ha (kg/ha x 0.89 equals lbs/ac). For wheat protein content, it took 90 kg per hectare on the short-term site to achieve the same protein level as on the long-term site with 30 kg N per hectare. “That’s even more interesting, and this supports that over time, these soils have tremendous capacity to release nutrients,” says Lafond. Canola had the same type of yield and protein content response as wheat. 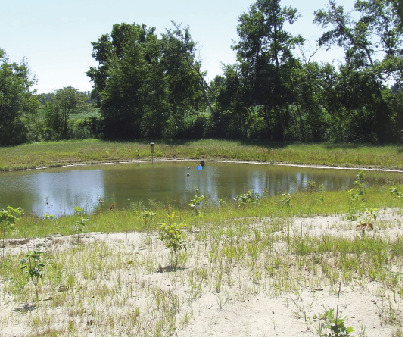 Residual nitrate-N levels were also measured after five years. As a rule, 60 to 90 kg of N per hectare (54 to 80 lbs of N per acre) was the optimum range for a yield response as observed for the yields of spring wheat and canola since 2003 on long term no-till plots. However, even the yearly use of 120 kg of N per hectare (107 lbs per acre) did not result in high accumulations of nitrate-nitrogen, which would be of environmental concern due to the possibility of leaching. “From our experience, once past 60 lbs per acre, the yield response curve flattens out for long term no-till. That is good news, because it means that as we increase production capacity of the soils with no-till, we are not necessarily causing environmental problems,” explains Lafond. Schoenau has also looked at P availability in several studies, first referring back to a study in the mid-1990s. 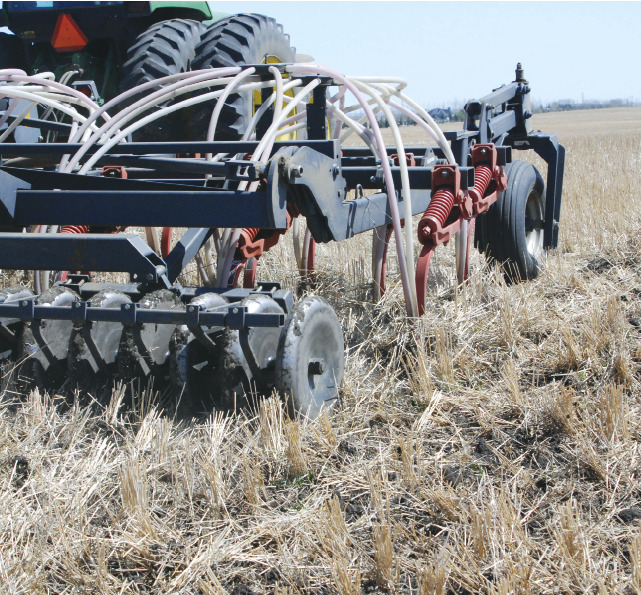 The research examined the effect of pre-seeding tillage with a heavy-duty cultivator: fall + spring (CT); spring only (MT) and no-till (NT) on pea stubble in 1996 and 1997 at two sites: Brown soil zone (Central Butte) and Black soil zone (Melfort AAFC). The sites were under conventional tillage previously. In general for the two sites during the two years, the supply of available phosphorus as affected by tillage showed no-till was greatest and min-till was greater than conventional till. More recently, Schoenau’s results from the Indian Head plots, measured with the PRS probes, showed that the short-term no-till soils had lower P-supplying capability than the long-term soils. When 40 pounds per acre of P2O5 were added, the impact of added P fertilizer on increasing P supply was greatest on the long-term no-till soil. “This perhaps suggests greater fixation of P fertilizer into less soluble forms on the short-term no-till compared to the long term,” says Schoenau. In a separate research trial conducted by Lafond on the long term and short term no-till plots, response of field pea and spring wheat to phosphorus (P) was also compared. Rates of 0, 10, 20, 30 and 40 lbs of P2O5 per acre were used with mono-ammonium phosphorus as the phosphorus fertilizer source. The phosphorus was placed with the seed. Essentially, a P fertilizer response was not observed on the long-term site for wheat with a small response on the short-term site. Lafond says that the short-term plots likely had a small response because they had been in a conventional system for so long, with little fertilizer, and P fertility was low. The long-term plots had high enough P supplying power on their own, that a P fertilizer response was not seen. In the case of field pea, there was no response to P on either short- or long-term plots, even though the field had not been fertilized with P until the trials started in 2002.